Texas squirrels, that is. 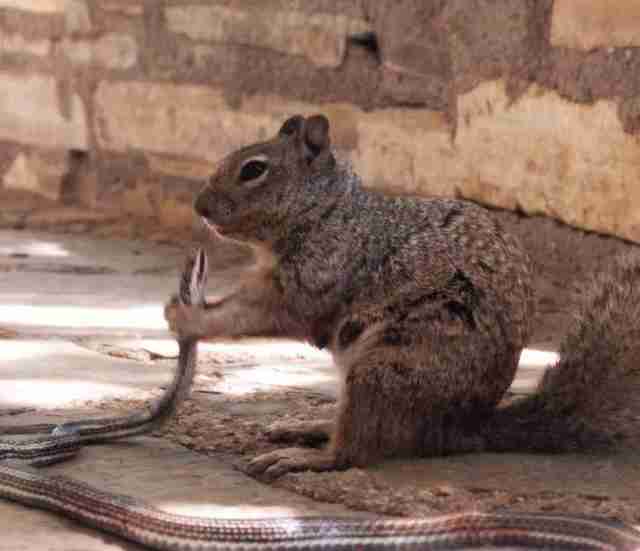 Ranger William Leggett with Guadalupe Mountains National Park heard a kerfuffle outside and went to check on it, stumbling into an epic squirrel v. snake battle. The rock squirrel then decided he was hungry, and proceeded to eat the snake. "The squirrel devoured most of the snake, bones and all, down to the last two inches," the park wrote on its Facebook page. 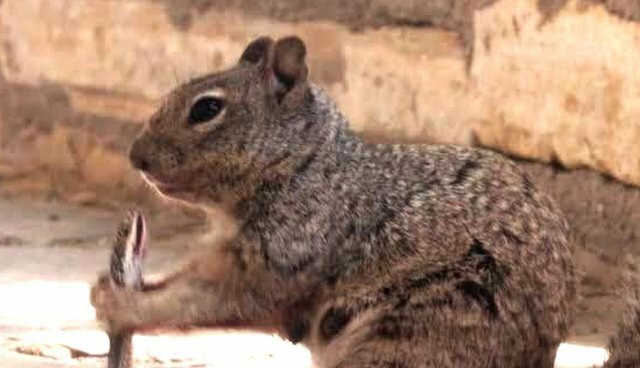 Rock squirrels are omnivores, and while they usually stick to plants they also eat eggs, reptiles, insects and even carrion - and this squirrel's cuteness certainly belies his scrappiness. Click here for a similar snake showdown - with an equally surprising outcome.